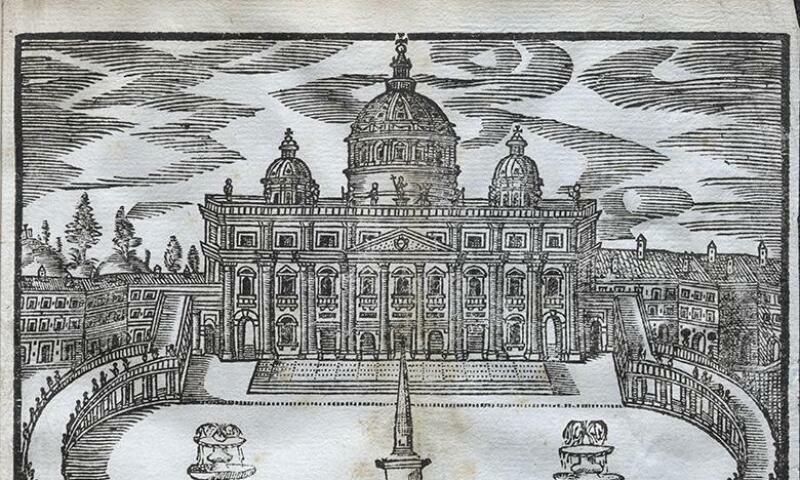 Engraving from Federico Franzini, 'Roma antica e moderna...', 1677. From the Sir Denis Mahon Gift collection. Over the centuries, Italy has attracted an array of travellers including religious pilgrims, grand tourists, scholars of antiquity, merchants, artists, architects, exiles and poets. As travel in Europe became increasingly common among the European elite, guidebooks describing Italy — its towns, cities, regions, art and antiquities — multiplied. These books were consulted by an array of readers from armchair travellers to scholars of antiquities and young men on the Grand Tour. Such travel guides from the past serve as indispensable research resources. Not only do they record the changing streetscapes of significant towns and cities, but they also offer insights into specific categories of taste through their descriptions of admired works of art and architecture. Many of these valuable texts are also rich with provenance data: detailing, describing and cataloguing works of art held in prominent collections of the time. Sir Denis Mahon (1910-2011), the collector and art historian, regularly consulted and collected travel guides over the course of his life. In 2010, he presented his library and archive to the National Gallery of Ireland. The books and documentation represent decades of research and scholarship, and the remarkable gift greatly enhances the research resources relating to European art available in Ireland. This exhibition highlights a selection of rare Italian travel guidebooks, dating from the seventeenth and eighteenth centuries, from Mahon's collection, and marks the completion of the cataloguing of the Mahon's library.